Engineered to the same specifications as Dura-Ace, demanded by aspiring racers, triathletes, fitness riders, long distance cyclists, and anyone who demands real racing performance from a road bike. Aluminum carrier reduces weight and increases rigidity. “Smooth and complete”. These 9 speed cassettes cover my gear range and then some. This cassette is the smoothest I’ve ever ridden. Improvement is noticeable coming from a 11-25 cassette. Your customer service specialist was fantastic- he knew his stuff! Item exactly as described! Fast order fill! Good and quick order filling. Item arrived a few days early!! Shimano makes good products. They work great with each other. Shifts as it should. I should have replaced my cassette with this one way before I did. You don't notice the gradual reduction in power and response because it is lost over a period of time. I strongly recommend Ultegra. I would absolutely recommend this to anyone requiring a 9sp upgrade over other offerings because it has the best bang for your buck ratio. The first two sets of spiders are on aluminum carriers keeping it stiff and from biting into your aluminum freehub too much. Its strong enough to withstand torture, but light enough for most weight weenies. Its ultegra, of course it's going to be good. Its light weight and machined nicely. Got to me pretty quickly. If you're shopping for ultegra components then you probably already know this. I got this to use on a wheel I have set-up for the indoor trainer. But since the Dura-Ace 9sp cassettes are almost impossible to find, I'll likely buy another one of these for when my DA cassette needs replacing on my other wheel. The gentleman who helped was a new employee and asked all the right questions to help me. Runs smooth when paired with the ultegra hg chain. Can’t go wrong with this cassette. Arrived quickly and on time. Fast service and a good price. I ordered it and it was shipped the next business day. You can't go wrong with this cassette. So far it shifts as good as the Dura Ace cassette that it replaced. OK, so its a couple grams heavier......................eh. Re placing old cassett. Like to stick with drivetrain items of all the same brand. Shimano cassetts have served me well over the years. Great cassette, great price, available. Jenson's webiste is excellent, ... and the fact that they have the material for which we search, ... fantastic. 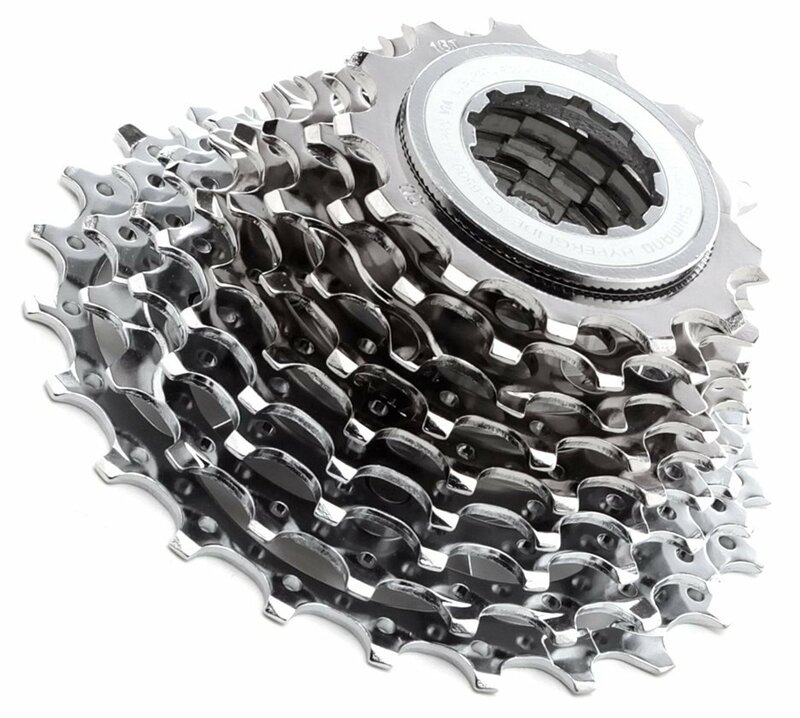 i need to replace a durace cs 7700 9 speed cassette and cn 7701 chain. will the 6500 9Sp be compatible? BEST ANSWER: It will work fine. I'm looking for a 12-21. Do you have them or can you get one? ?